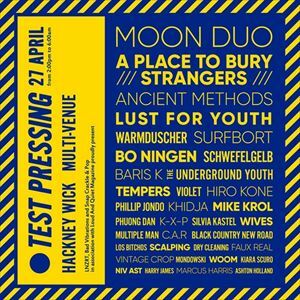 * Ticket grants General Admission to all venues taking part in Test Pressing Festival 2019. * Each E-Ticket must be scanned & exchanged for a wristband upon arrival at the event before entry is granted to any venues. * Tickets can only be resold via See Tickets Fan-to-Fan Marketplace. Resale via any other platform is not permitted.